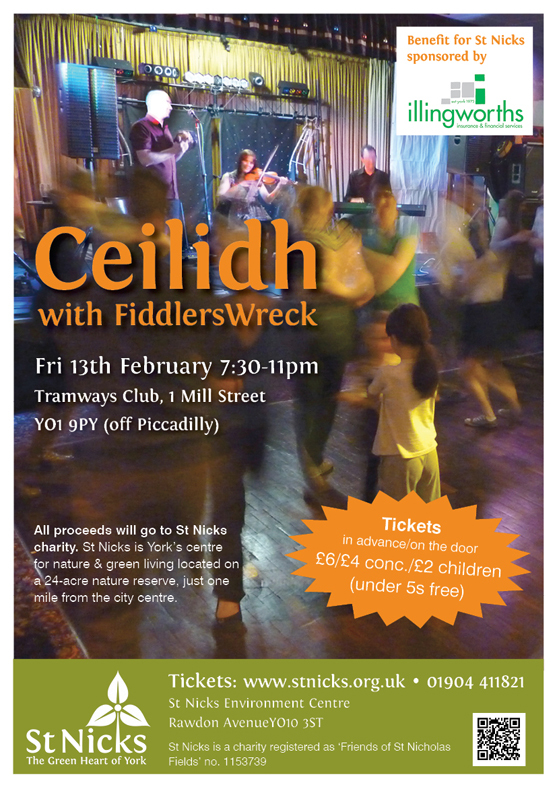 poster for the Ceilidh - please help spread the word by displaying it or forwarding it on to friends, colleagues, family and anyone who may be interested. Thank you! Have a great night out while supporting St Nicks. 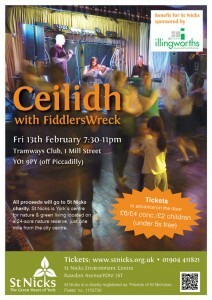 Enjoy live music by FiddlersWreck, the bar, raffle, cakes and more! Families with children are very welcome to attend the dance. Please note, however, that the dance floor may get very busy later on and not be suitable for small children as the evening progresses. A big thank you goes to Illingworths Insurance & Financial Services who are kindly sponsoring the event.